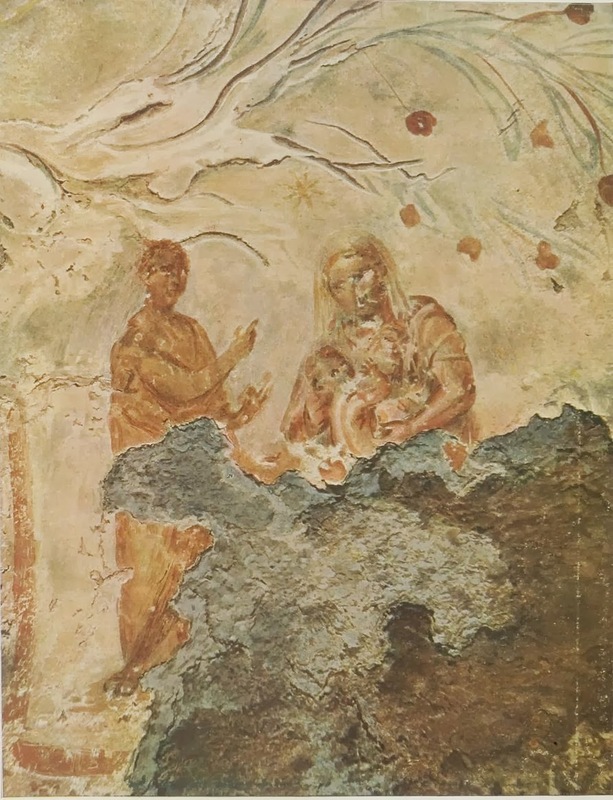 It is regarded as the earliest known depiction of Mary, the Blessed Virgin. In Revelation 2:14 we read of false teachers at Pergamum who held the "teaching of Balaam, who taught Balak to cast a stumbling-block before the children of Israel, to eat things sacrificed to idols, and to commit fornication." In both 2 Peter 2:15 and in Jude 1:11, Balaam is cited as an example of a false prophet motivated by greed or avarice. 11 and on entering the house they saw the child with Mary his mother. They prostrated themselves and did him homage. Then they opened their treasures and offered him gifts of gold, frankincense, and myrrh." The star could also be a reference to the Star of David known in Hebrew as the Shield of David or Magen David. The term "Shield of David" is also used in the Siddur (Jewish prayer book) as a title of the God of Israel.